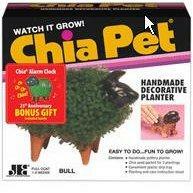 When you think of Chia seeds, do you think of the once popular Chia Pets? If so, you will find the following information enlightening. Did you know that Chia, or Salvia hispanica, has been an important food since the time of the Aztecs? Learn more about the nutritional benefits of Chia and how to grow it in this article. Chia seeds can be started in a tray of soil, a soilless growing medium or even on a paper towel. About one to two tablespoons of Chia seed will be enough for a five inch square tray. First, moisten your growing medium and spread seeds out evenly over the top. Keep seeds moist by misting them every day or two. You can cover them if you like and keep them in a low-light area until they germinate, which can take up to two weeks. Once the hulls have fallen off, move the seedling into the light. As soon as your seedlings are big enough to transplant, you can put them in a pot or directly into the soil. Chia plants grow best in well-drained, sandy or loamy soil. Soil should be dry to moist but not wet. The plants need full sun to grow best and are hardy to zone nine. They are not frost tolerant. Small flower clusters form in July or August which are purple or white with a spike on the end of each stem. This annual herb grows up to three feet tall with leaves that are two or three inches long and up to two inches wide. Chia seeds are grown commercially in several countries including Argentina, Bolivia, Ecuador, Guatemala and Mexico. Chia has been known for its nutritional value since Aztec times when it was a staple food source. It was believed to provide warriors with endurance, which is not surprise considering all the nutrition that these tiny seeds provide. Chia seeds have two and a half times the protein of other grains as well as being rich in Omega-3 fatty acid. It is also high in soluble fiber and anti-oxidants. Those with food sensitivities will appreciate that they are also gluten free. They are truly a nutritional powerhouse. Chia seeds can be eaten raw or added to nearly any food without affecting the flavor. Sprouted seeds can be added to salads or sandwiches in the same way as alfalfa sprouts. Many people enjoy using Chia seeds in their baked goods as a fat replacement as well. A traditional drink in Mexico called chia fresca can be made by mixing the seeds in water or juice. These soaked seeds create a gel that is consumed. This same effect is created inside your body when you eat the seeds, which is beneficial for slowing the conversion of carbohydrates into sugar. This is especially helpful for diabetics and those who are hypoglycemic. Chia can also help you stay hydrated because it can hold more than 12 times its weight in water. It is also believed to aid in weight loss. With so many benefits, it is easy to see why Chia seeds have been an important food for so many years.